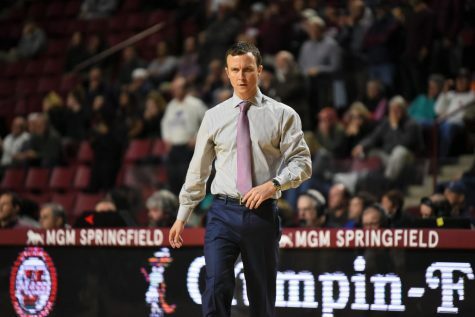 While the 96-90 victory wasn’t business as usual for the Minutemen, it definitely took a workman-like effort to knock of Nebraska on Thursday afternoon. 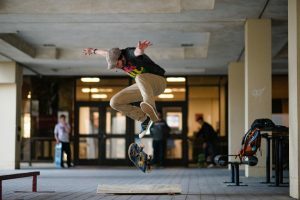 “We had to give them everything we had to come away with the victory today,” Kellogg said. With the win, UMass advances to the semifinals, which will take place on Friday afternoon against No. 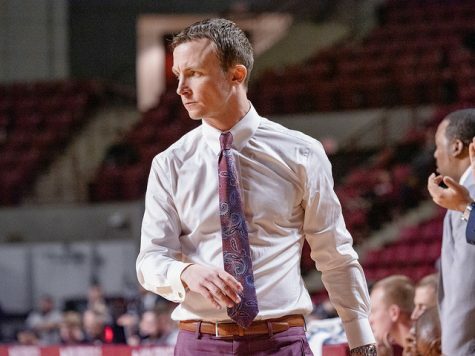 19 New Mexico, who outlasted Alabama-Birmingham with a 97-94 double-overtime victory Thursday. The Minutemen (4-0) rarely trailed in the game, but could never pull away from the Cornhuskers (3-1). 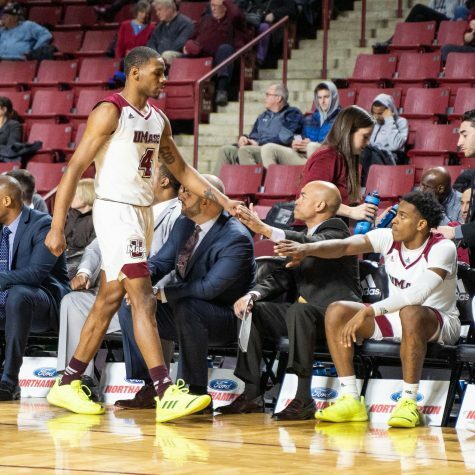 After ending the first half up by only three points, UMass came out flying to start the second half, opening up a 10-point lead thanks to a quick 11-4 run in the opening three minutes. But, as was the case throughout the entire second half, anytime the Minutemen opened up a double-digit lead, Nebraska came storming back. 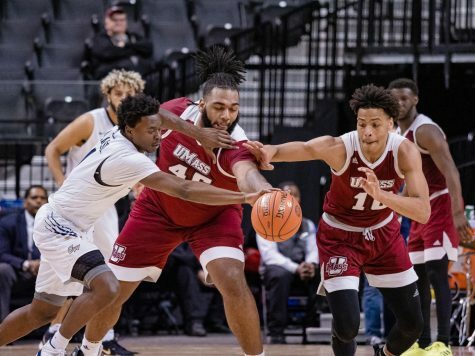 With eight minutes, 24 seconds left in the game, UMass held an 80-67 advantage, its largest lead of the game. 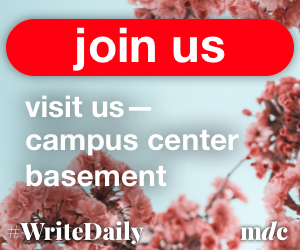 It looked like easy sailing the rest of the way for the Minutemen, but Terran Petteway led the Cornhuskers back into the contest, scoring 11 of his game-high 28 points in the second half before fouling out late in the game. 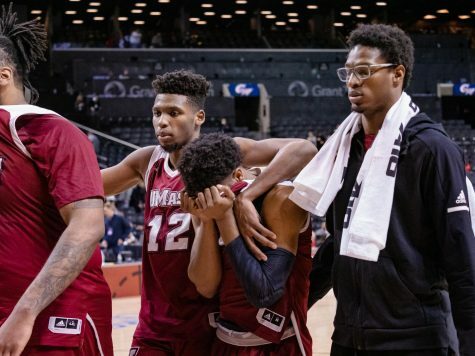 Nebraska never fully erased the 13-point deficit, getting as close as two points, but clutch free throw shooting down the stretch by Trey Davis, Derrick Gordon and Chaz Williams sealed the game for UMass. The three guards went a combined 5-for-6 from the free throw line in the final minute. On a day when Williams struggled to find his offensive rhythm, Gordon had a breakout performance for the Minutemen. He entered the game averaging only eight points a game, but exploded for a team-high 20 points, including 13 in the second half. 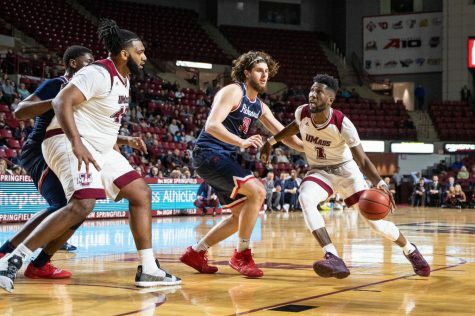 Senior Sampson Carter and junior Cady Lalanne also continued their strong starts to the season, as each player recorded 16 and 15 points, respectively. 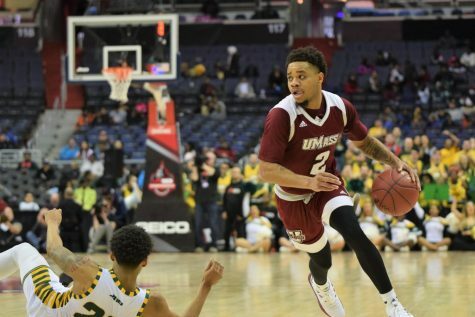 Williams wound up with 10 points on the game, giving UMass four players in double-figure scoring. 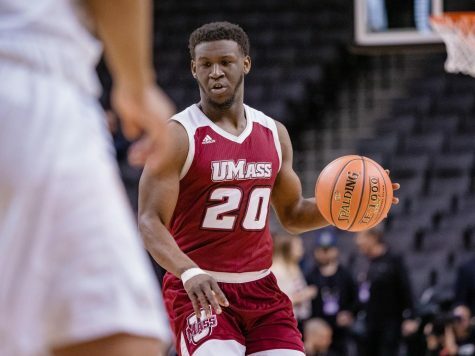 UMass opened up the game on an 11-5 run through the first four minutes, but saw that lead quickly erased by the Cornhuskers. 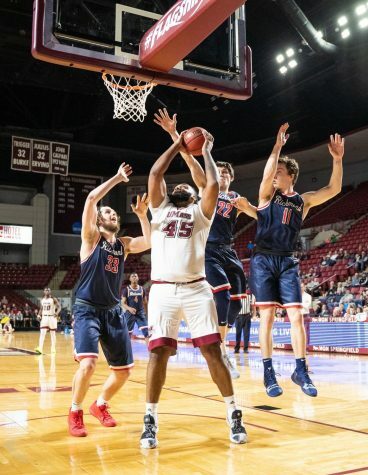 The two sides alternated leads throughout the remainder of the half, until the Minutemen took a 40-39 lead with one minute, 24 seconds left. 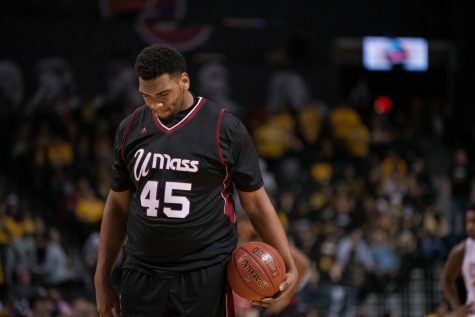 From that point forward, UMass never trailed and took a 42-39 lead into half. Tip off for Friday’s semifinal matchup is scheduled for 2:30 p.m.
Patrick Strohecker can be reached at [email protected] and followed on Twitter @P_Strohecker.